Grew up with Efes Pilsen Istanbul (Turkey) juniors. Made his debut with Efes Pilsen Istanbul during the 1999-00 season. Sent on loan for the 2000-01 season to Antbirlik Antalya. On December'00 moved back to Efes Pilsen. Moved to Slovenia for the 2006-07 season, signed by BC Olimpija Ljubljana. On January'07 moved to Spain, signed by Baskonia Vitoria. On March'07 moved to Greece, signed by Panionios BC Athens. Moved back to Turkey for the 2007-08 season, signed by Efes Pilsen Istanbul. Played at the 2003, 2005, 2007, 2009, 2011 and 2013 European Championships. Won the 2001, 2002, 2006, 2008 and 2009 Turkish National Cup with Efes Pilsen Istanbul. Won the 2002 and 2009 Turkish President Cup with Efes Pilsen Istanbul. Played the 2005, 2006, 2008, 2009, 2013 and 2014 Turkish All Star Game. Played the 2007 Slovenian All Star Game. Played at the 2000 and 2002 European U-20 Championship. 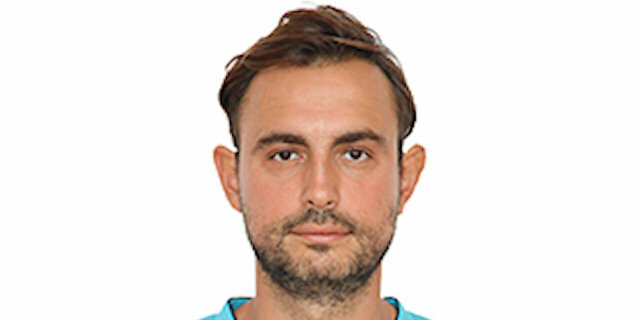 Member of the Turkish University National Team.